Porcelain veneers are an excellent way to disguise minor imperfections with your smile, such as discolored or cracked teeth. Since this is typically a cosmetic procedure, most dental insurance companies don’t provide coverage. However, you should check with your individual carrier to see if coverage is available in the event of facial trauma. The results of several research studies indicate that patients can expect a lifespan of 15 years on the high end and five years on the low end for their porcelain veneers. In a 2007 study of 300 dental patients who opted for porcelain veneers, 96 percent of patients had their original veneers after five years. At 10 years, this percentage fell just three percentage points to 93 percent. By the 15-year mark, 73 percent of the 300 people still had the same veneers. 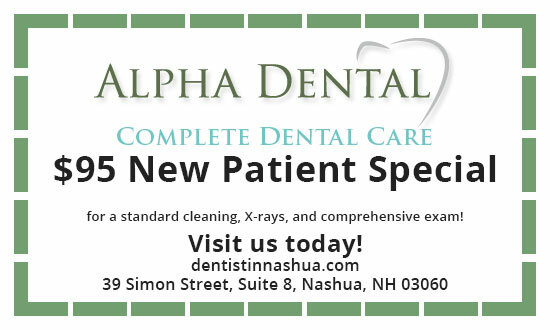 Since dental technology has improved in the intervening eight years, you can expect even greater longevity when you have your porcelain veneers placed by Dr. Ahmed or Dr. Pasha at Alpha Dental. We will provide you with detailed care instructions once the veneers are in place to ensure maximum longevity. Approximately one-third of the patients in the study referenced above requested their dentist to remove their veneers because they were no longer satisfied with the aesthetics. In some cases, patients developed an additional dental issue that a single veneer could no longer cover. Yet another cause of failure was the adhesive coming loose and causing the veneer to fall off. Patient behavior plays a large role in the latter case. To avoid a problem with the adhesive, it’s important to use gentle tooth brushing techniques and avoid habits such as teeth clenching and chewing on ice. If you’re considering getting a porcelain veneer to improve the appearance of your smile, please contact our office to request a consultation. One of our dentists will gladly answer your questions in addition to showing you before and after photos of other patients who have chosen this procedure.